Pre-exposure prophylaxis (PrEP) is an effective biomedical HIV prevention method. PrEP uptake has been persistently low among US women, particularly Black women, who account for 61% of new HIV diagnoses among women. Further understanding of barriers to Black women accessing PrEP is needed. This 2017 cross-sectional survey study explored race-based differences in PrEP interest and intention among women and the indirect association between race and comfort discussing PrEP with a healthcare provider through medical mistrust. The sample consisted of 501 adult women (241 Black; 260 White) who were HIV-negative, PrEP-inexperienced, and heterosexually active. Black women reported greater PrEP interest and intention than White women. However, Black women expressed higher levels of medical mistrust, which, in turn, was associated with lower comfort discussing PrEP with a provider. Medical mistrust may operate as a unique barrier to PrEP access among Black women who are interested in and could benefit from PrEP. The online version of this article ( https://doi.org/10.1007/s10461-018-2283-2) contains supplementary material, which is available to authorized users. The authors are grateful to all individuals who participated in the present study. This study was funded by Yale Center for Interdisciplinary Research on AIDS (CIRA), which is funded by the National Institute of Mental Health under Award Number P30-MH062294. The efforts of S. K. Calabrese were supported by the NIMH via Award Number K01-MH103080. T. Taggart was supported by the NIMH via Award Number T32-MH02003 and the National Institute on Drug Abuse (NIDA) via the HIV/AIDS, Substance Abuse, and Trauma Training Program at the University of California, Los Angeles (R25-DA035692). 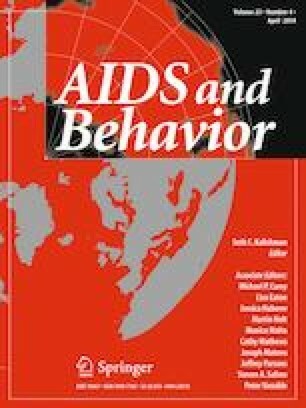 The content of this article is solely the responsibility of the authors and does not necessarily represent the official views of the National Institute of Mental Health, the National Institutes of Health, or Planned Parenthood Federation of America, Inc.
S. K. Calabrese has received compensation for her efforts in developing and delivering PrEP education materials. S. Hull receives honoraria for serving on the PrEP for Women Steering Committee for Gilead and has a subcontract with a Gilead-funded research study. The authors do not have other conflicts of interest to disclose. US Centers for Disease Control and Prevention. HIV/AIDS. 2018. Available from: https://www.cdc.gov/hiv/group/gender/women/. Connecticut Department of Public Health. CT Pre-exposure Prophylaxis (PrEP) Local Medical Services; 2017. Available from: https://portal.ct.gov/-/media/Departments-and-Agencies/DPH/dph/aids_and_chronic/prevention/pdf/PrEPServicespdf.pdf?la=en. United States Department of Commerce Economics and Statistics Administration USCB. Race & Ethnicity; 2017. Available from: https://www.census.gov/mso/www/training/pdf/race-ethnicity-onepager.